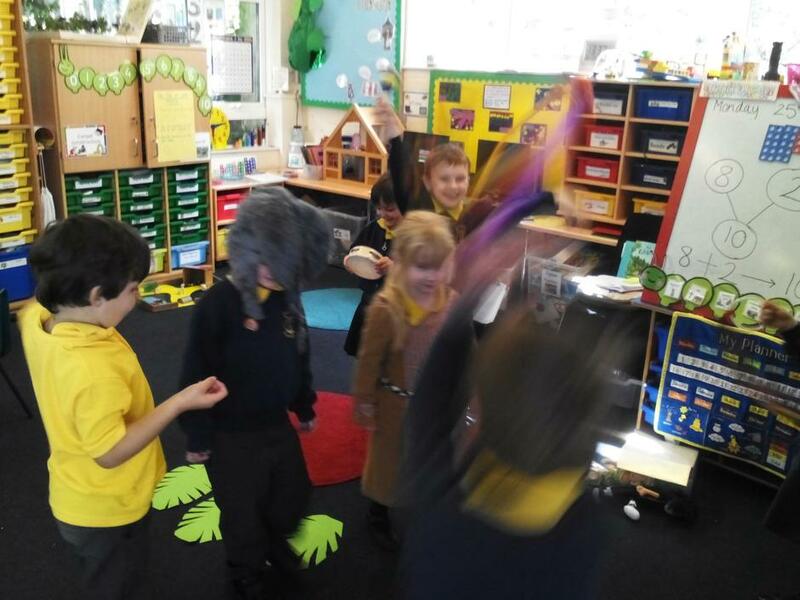 Giant class have been retelling the traditional tale ‘The Gingerbread Man’ with a story map, using the pictures and actions to help them retell the story in their own words. 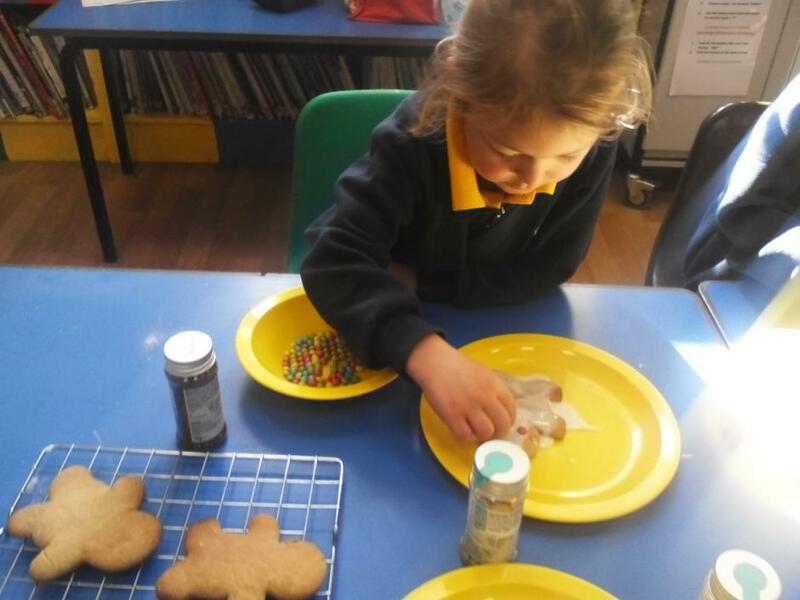 On Wednesday we made our own gingerbread biscuits. We thought about where we find recipes and why they are important. 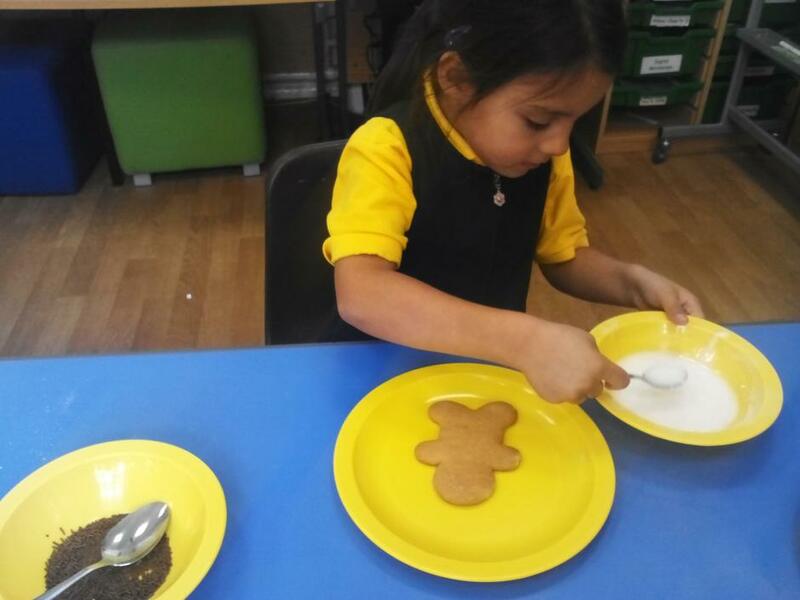 We used the Internet to search for a recipe to make gingerbread. 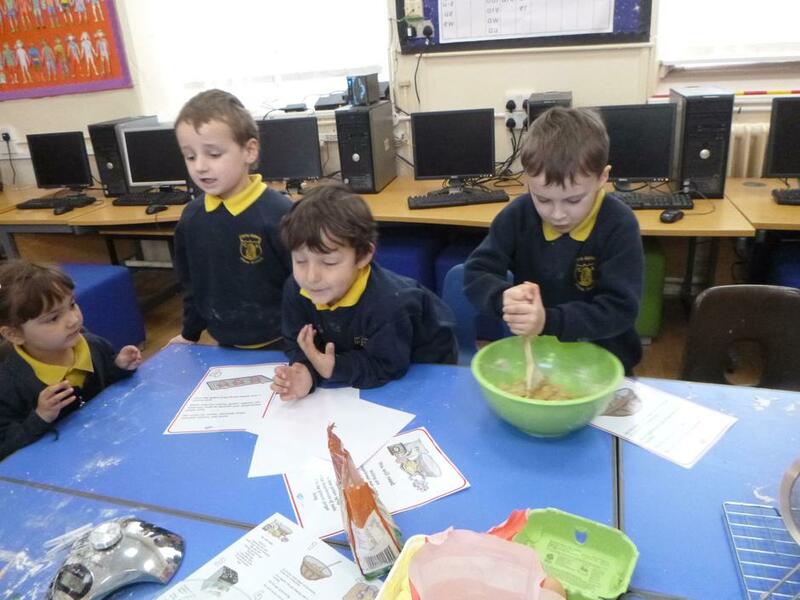 We read the ingredients and the method thinking carefully about all the things we would need. 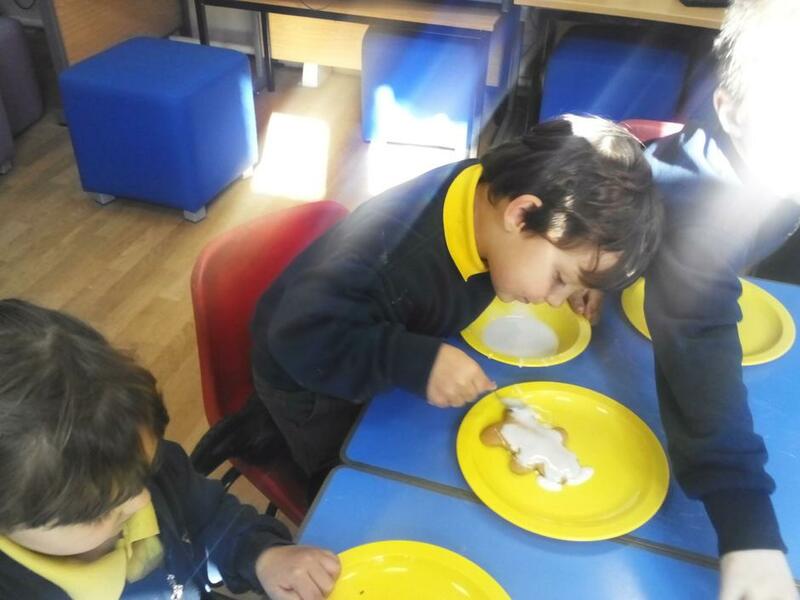 After playtime we followed the recipe, using scales to measure the flour, sugar and butter- measuring the ginger and bicarbonate of soda with measuring spoons. 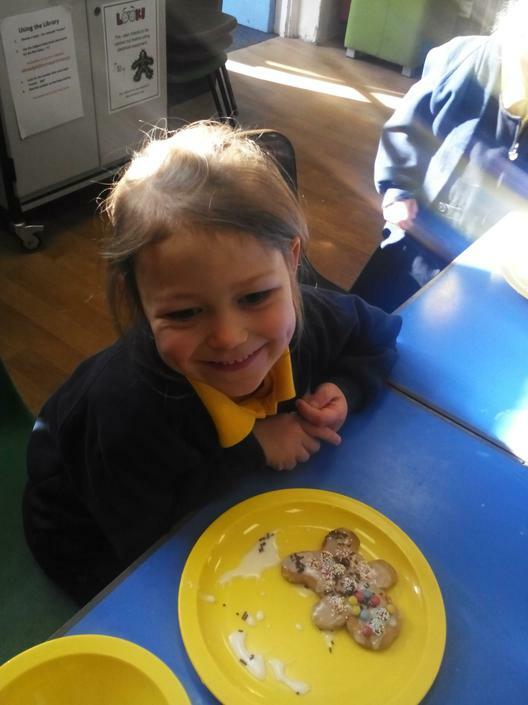 We mixed it all together adding egg and golden syrup. At first it was quite tricky to stir but then it started to stick together!! 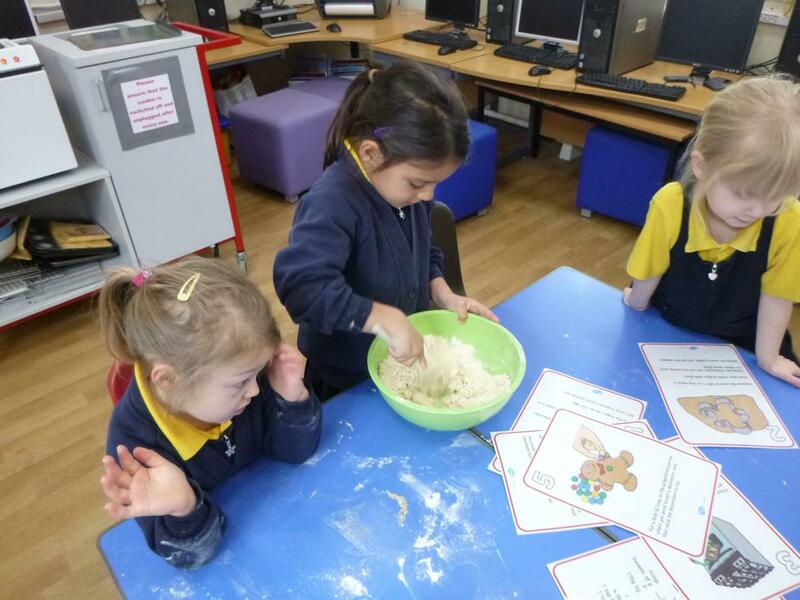 Mrs Barrett helped us to make it into dough that we could roll out with the rolling pin. 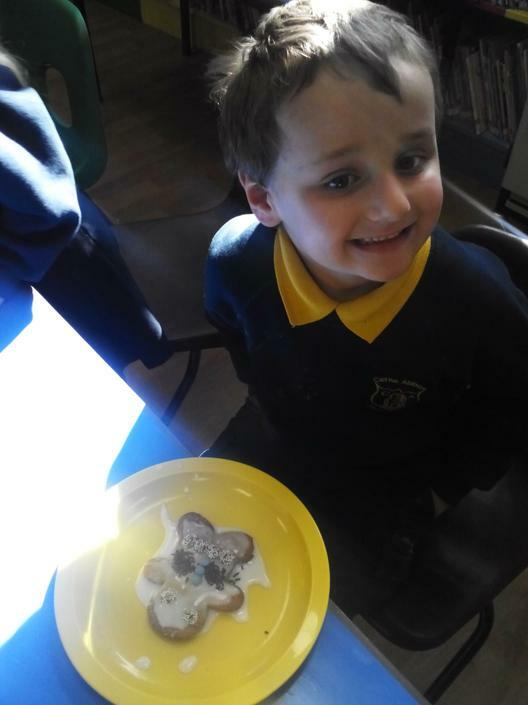 We then used a gingerbread man shaped cutter to cut out our biscuit shape and place on the tray. When they were baking the biscuits smelt so yummy! When they came out of the oven we left them to cool. 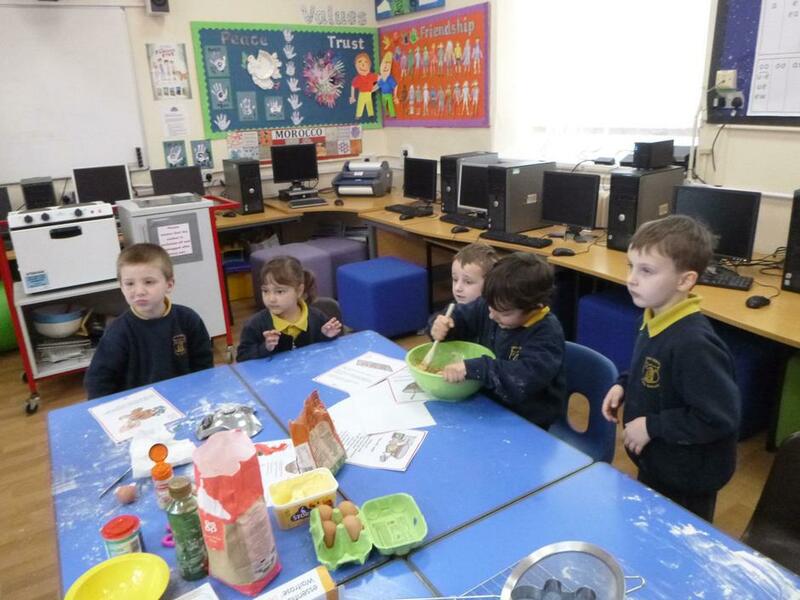 Back in the classroom we were able to write our own recipe, writing 'bossy' command instructions for each step. 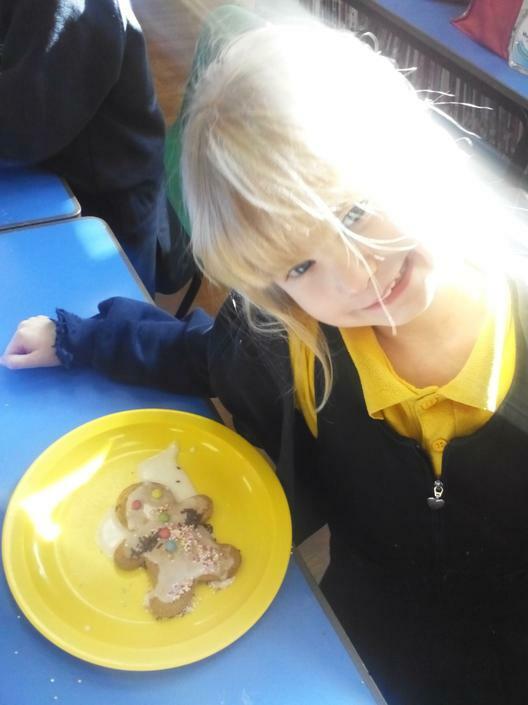 In the afternoon, we mixed up some icing and decorated our gingerbread people- adding eyes, hair, smiles and buttons. We got very sticky but it was lots of fun! 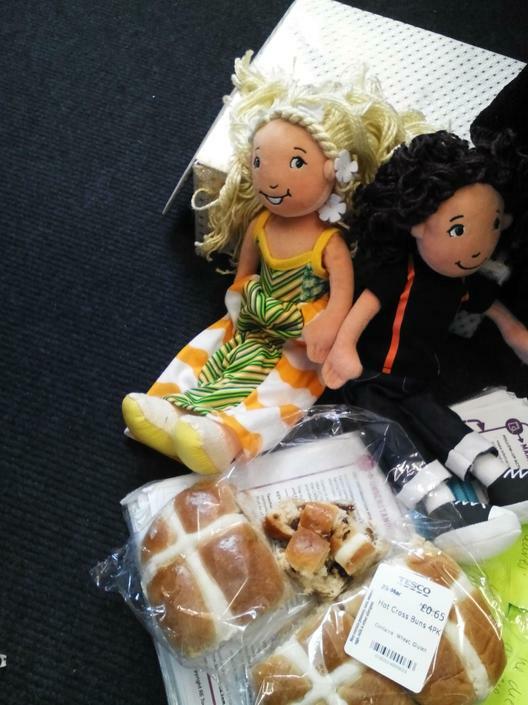 Giant class have also been learning about the Easter story, with our Christian dolls Tom and Tessa. 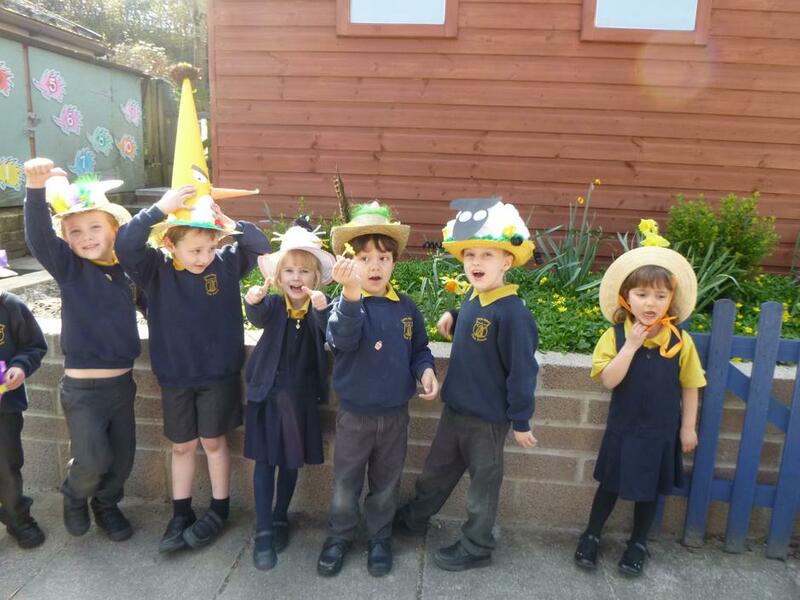 We have been reading the story in their children’s bible. 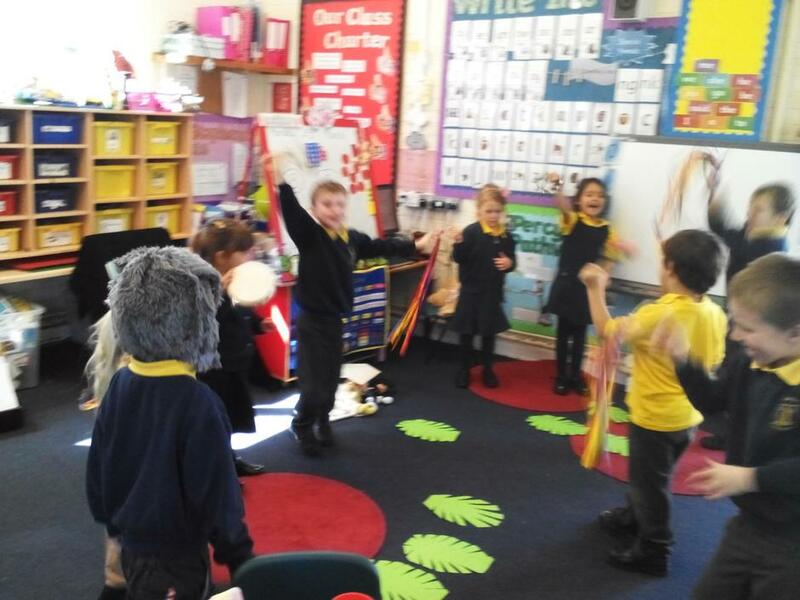 We acted out the story of Palm Sunday, waving palm leaves and cheering for Jesus arriving on his donkey. Tom and Tessa also brought us some hot cross buns to try! 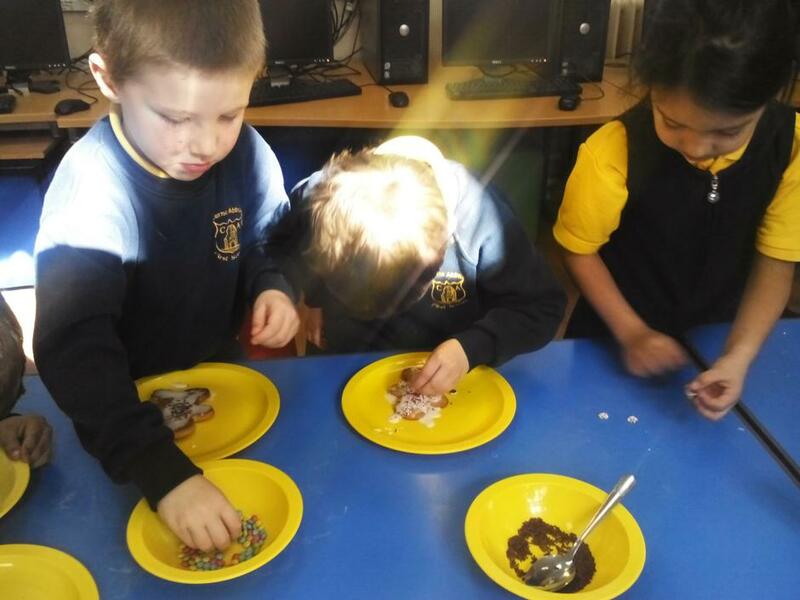 We learnt that they are traditionally eaten on Good Friday, the day Jesus died. Before we had a taste of the hot cross buns we looked at the crosses on top. 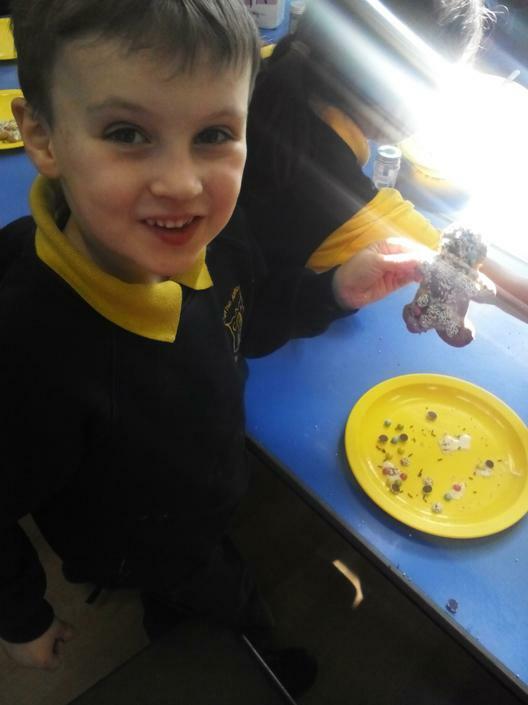 We decided that the crosses on the buns help us to remember that Jesus died on a cross. Tessa also thought the buns look a bit like the stone door of the cave that Jesus was buried in. 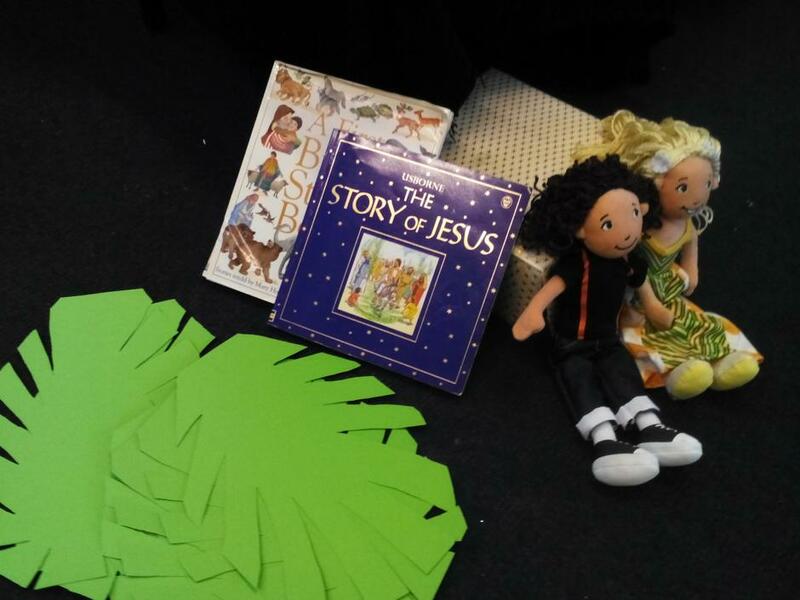 We will be learning more about the Easter story with Tom and Tessa again next week! 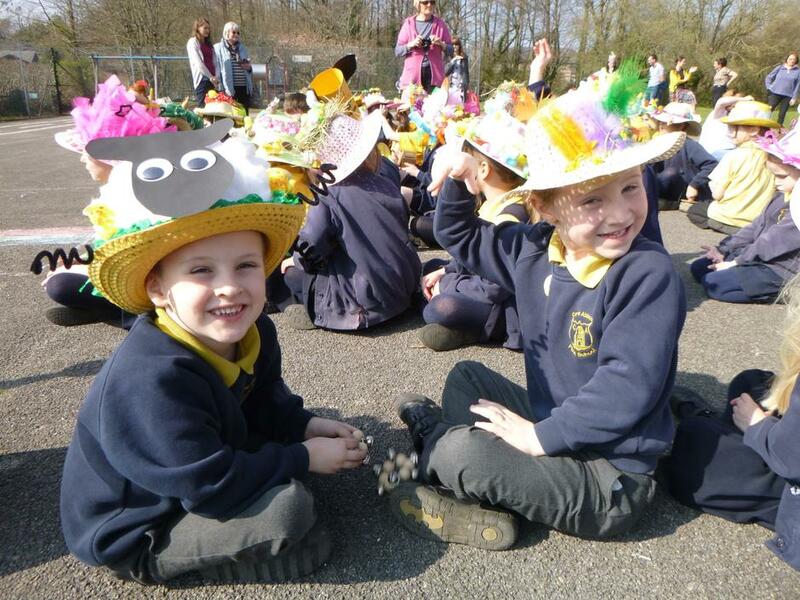 Well done for all the efforts made with the children’s Easter Bonnets! 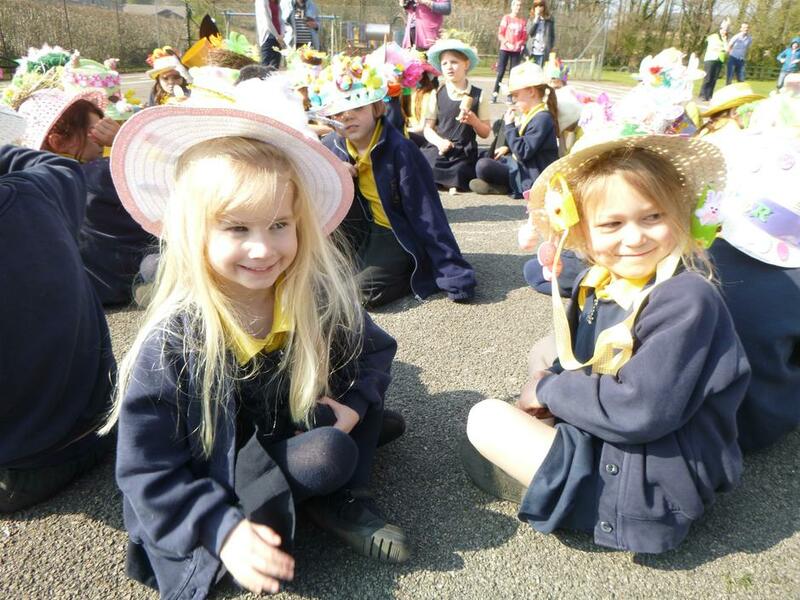 They had a lovely afternoon parading around the village and taking their bonnets to be judged. I’m sure everyone enjoyed the lovely cakes also!